Born in Russia, Boris Anisfeld was a sculptor, lithographer, painter, illustrator, set designer and long-time teacher at the Art Institute of Chicago. From 1901 to 1909, he studied at the Odessa School of Art in the Ukraine and at the Imperial Academy of Arts in Petrograd. Among his influences were Ilya Repin, realist painter and sculptor, and Igor Grabar, an impressionist painter, who encouraged Anisfeld to work in a style that led to Anisfeld’s painting being accepted by Sergei Diaghilev for a 1905-1906 exhibition in Russia and Paris. Anisfeld’s career evolved from book design and illustration to stage design. 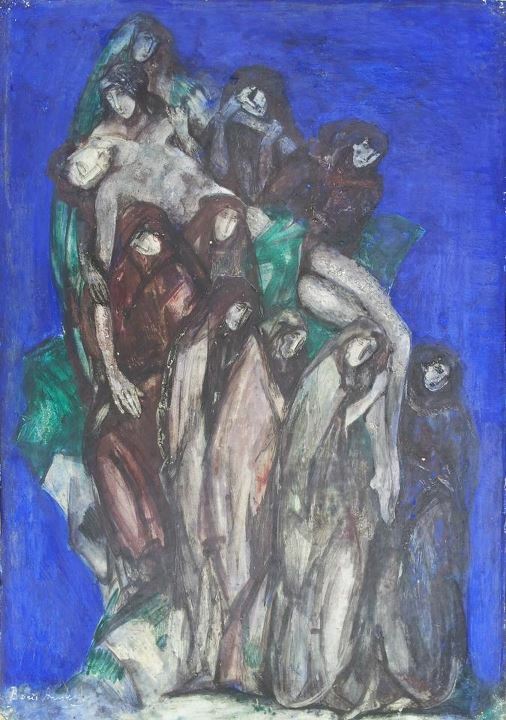 In 1911, Diaghilev, Director of the Ballet Russe, chose Anisfeld to design the production of Sadko because of Anisfeld’s interest in fantasy, and this commission began his career with that company until the outbreak of World War I.
Anisfeld immigrated to the United States in 1917, and, living in New York City, did stage designs for the Metropolitan Opera including The Snow Maiden in 1922. During this period, The Brooklyn Museum had a traveling exhibition of his work to 20 American cities. From 1928 to 1968, Anisfeld lived in Chicago, where he headed the School of Advanced Painting at the Art Institute. During the summers he ran the Anisfeld Summer School in Central City, Colorado. Hannah A. Millard was born in New York in 1827. By the early 1870s Millard had moved to California. 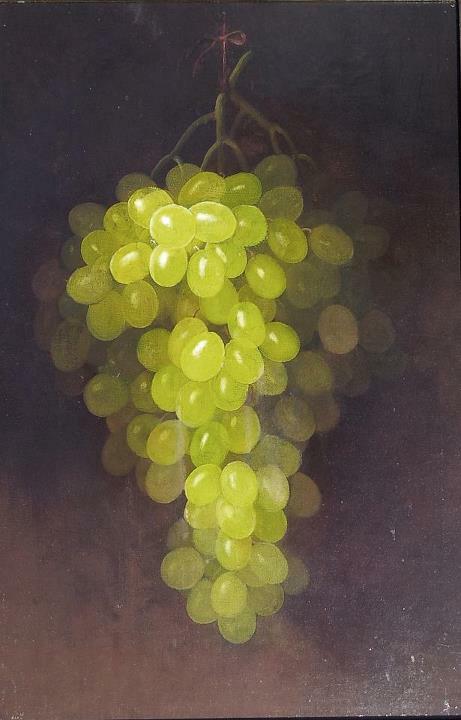 She was an art teacher at the San Jose Institute in 1874 and in the following year was commissioned by the State Vinicultural Society to illustrate the varieties of grapes grown in California. 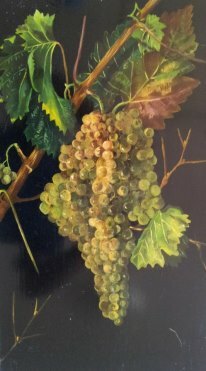 She painted ten highly detailed oils and watercolors of grapes which were used to illustrate the book, Grapes and Grape Vines of California (1877). She was a resident of San Francisco in 1880, the year she wed sculptor, William Coffin. In 1892 the couple moved north to a farm in Lake County. Mrs. Coffin died there on Nov. 24, 1900. Exh: Mechanics’ Inst. (SF), 1869; Calif. State Fair, 1873 (silver medal); San Francisco Art Association, 1885. Works Held: California Historical Society. especially for his depictions of fruit. Typically his work featured table-top studies of fruit placed near or in a china dish or glass. He also painted fruit on the vine or freshly picked from the tree. In addition to fruit still lifes he painted landscapes, figures, and portraits. Ream began to paint early in his career, and his work was exhibited at the Royal Academy of Art in London. Ream studied abroad in London, Paris, and Munich as well as in New York. His painting “Just Gathered” was the first picture by a Chicago artist to be included in the permanent collection of the Art Institute. 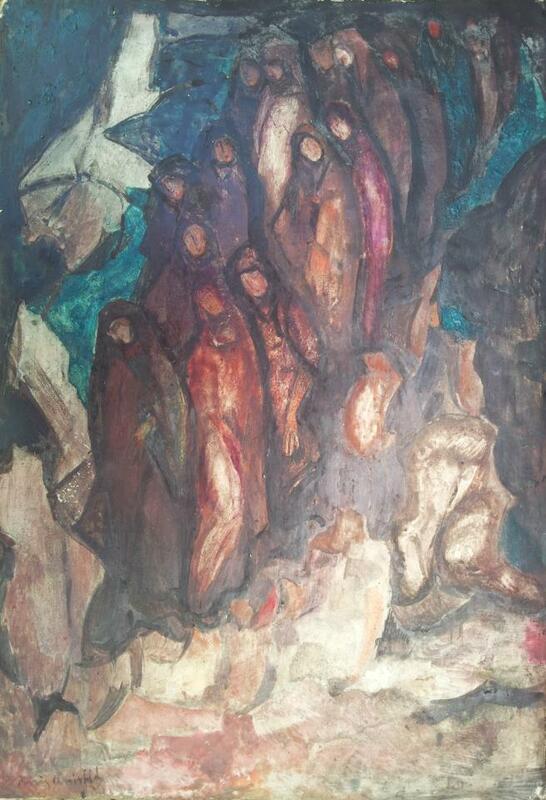 He enjoyed a prosperous career during his lifetime and exhibited at renowned venues such as the Brooklyn Art Association (1872-1879), the Royal Academy London (1892, 1898); and the Art Institute of Chicago (1894-1909, 1909 solo show, 1910-1917). Ream’s fruit pictures were reproduced as chromolithographs by Louis Prang & Company and advertised as “dining-room pictures”. He was the elder brother of Morston Ream who was also a prominent still life painter. Born in Kolding, Denmark on May 2, 1825. Toft was educated in his native land. At age 16 he began his travels aboard a whaler and in 1849 sailed into San Francisco Bay aboard the ship Ohio. After unsuccessfully panning for gold around the Trinity River, he returned to San Francisco where he contributed illustrations to Harper’s. While in California, he made many painting excursions to Oregon, Washington, and British Columbia. He signed his works in various ways: Tofft, Tufts, Toffts, Toft, and with his monogram, the letter T with a circle drawn around its stem. In 1867 he was in NYC and in 1869 returned to Kolding. In 1870 he settled in London where he remained until his death on Dec. 17, 1901. 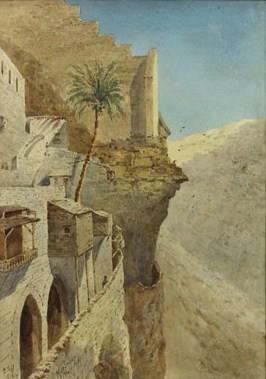 His watercolors are rare and historically important. Exh: Mechanics’ Inst. Fair (SF), 1864; SFAA, 1872-1900; Royal Academy, London. In: Oakland Museum; House of Parliament (Victoria, B.C. ); Bancroft Library (UC Berkeley); Montana Historical Society; NMAA. Oakland Museum; Artists and Illustrators of the Old West (Robert Taft); Dictionnaire des Peintres, Sculpteurs, Dessinateurs, et Graveurs (Bénézit, E); Artists of the American West (Doris Dawdy); Artists of the American West (Samuels); From Frontier to Fire.